Hardcover, 10 x 13 in. / 268 pgs / 336 color. Edited by Jacques Dupin, Ariane Lelong-Mainaud, Joan Punyet Miró. Alongside Picasso and Warhol, Joan Miró (1893-1983) is one of the twentieth century's most influential artists. Miró created a pictorial world of intense imaginative power, in which visionary and cosmic elements are inextricably intertwined with the earthly and mundane. 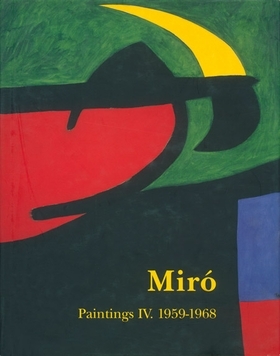 The research for this six-volume catalogue raisonné of Miró's paintings, spanning the years 1908 to 1981, was begun in 1957. 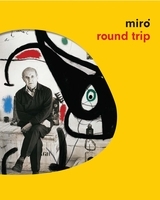 The artist himself and later the Miró Estate were largely involved in its preparation--Jacques Dupin, Ariane Lelong-Mainaud and Joan Punyet Miró. The catalogue includes all the artist's oils, acrylics and works in various media--on canvas, cardboard, wood, masonite, copper and other hard supports. In the six volumes--all published only in English--all paintings are reproduced in color, whenever possible, accompanied by their title, date, technique and dimensions, with indication of signature and inscriptions on the back, as well as their collection, provenance, important exhibitions and major publications in which they are reproduced. Introduction by Joan Punyet Miró. Text by Francisco Copado, Robert Lubar Messer, Enric Juncosa Darder. FORMAT: Hbk, 10 x 13 in. / 268 pgs / 336 color.